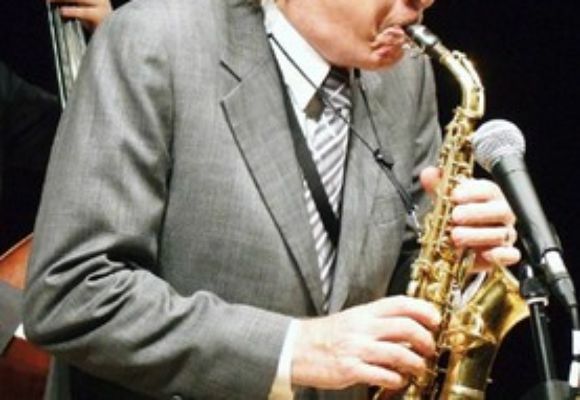 Bob Wilber is an internationally renowned instrumentalist, arranger and composer who has been a leading figure in keeping the spirit of classic jazz alive.
. This band of teenagers went on to sit in at Jimmy Ryans club in New York. During this time he studied and lived with Sidney Bechet. In 1948 he played at the Nice Jazz Festival and toured France with Mezz Mezzrow. Then for two years he led a band at Bostons Savoy Club. a group that combined elements of traditional and modern jazz. After two years of touring and recording three LPs he joined Eddie Condons band, playing at Eddies club and touring England. He wound up the decade playing with Bobby Hackett in New York and touring with Benny Goodmans big band. in 1984 for director Francis Ford Coppola which won him a Grammy. In 1983 he became the first director of The Smithsonian Jazz Repertory Ensemble which toured the United States for three years. In 1988 Wilber led bands at both Carnegie Hall in New York and Royal Festival Hall in London to celebrate the 50th anniversary of Benny Goodmans famous 1938 concert. Since then he has continued to lead his small groups and large orchestras for work around the world. He also received critical acclaim when he wrote his memoirs Music Was Not Enough. at the Bern Jazz Festival. (Previous recipients were Oscar Peterson, Benny Carter, Milt Hinton, Clark Terry and George Wein). To this day Bob Wilber continues to create and play music that is a tasteful and exciting exploration of classic jazz. He has been nominated to receive an Honorary Doctorate of Music from Hamilton College in Clinton, New York in 1998. (Past awards have gone to Sweets Edison, Milt Hinton, Clark Terry and Marian McPartland).